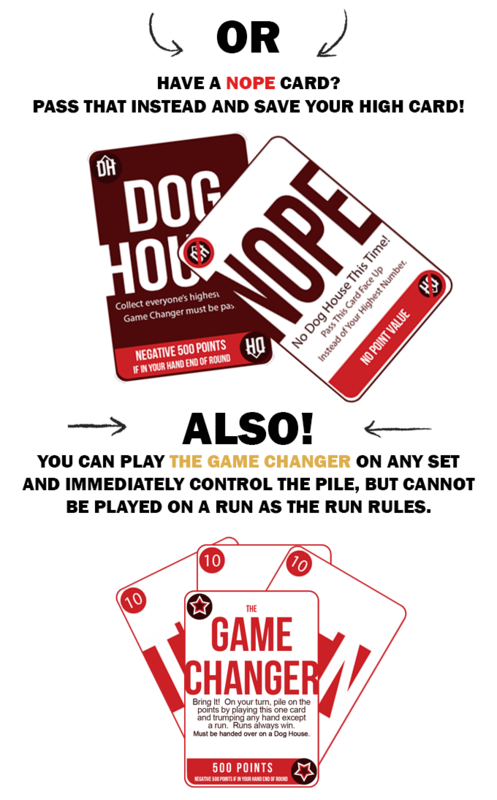 A game that requires both speed and mental toughness through the use of Slap Attacks, Dog Houses and Nope cards. 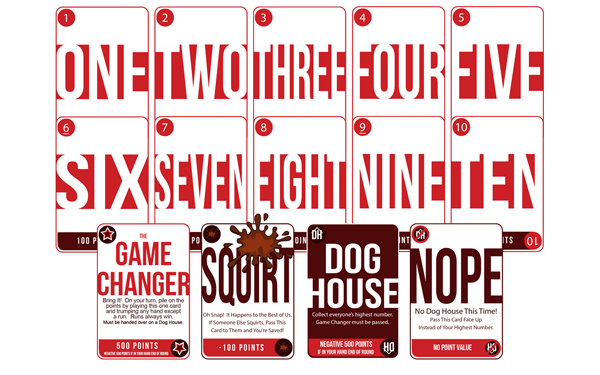 A family game for everyone that requires both speed and mental toughness through the use of Slap Attacks, Dog Houses and Nope cards. 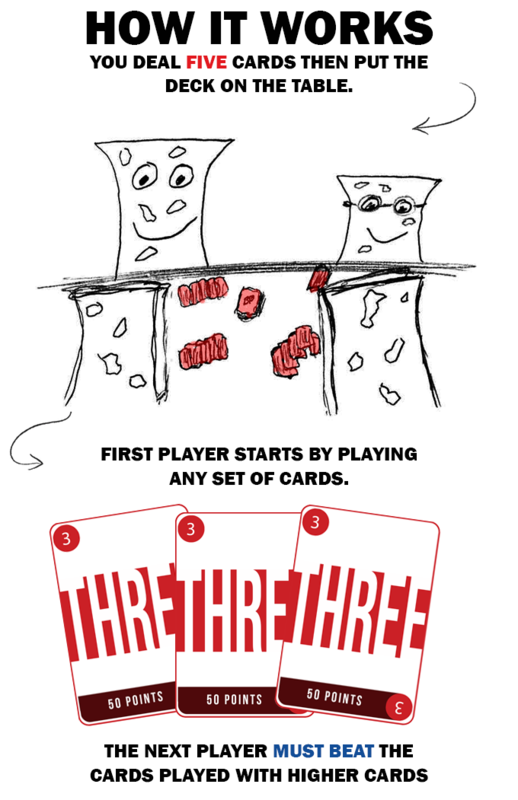 I recently became familiar with this game Brownie Points the Card Game and pleasantly surprised by it, I like it so far. 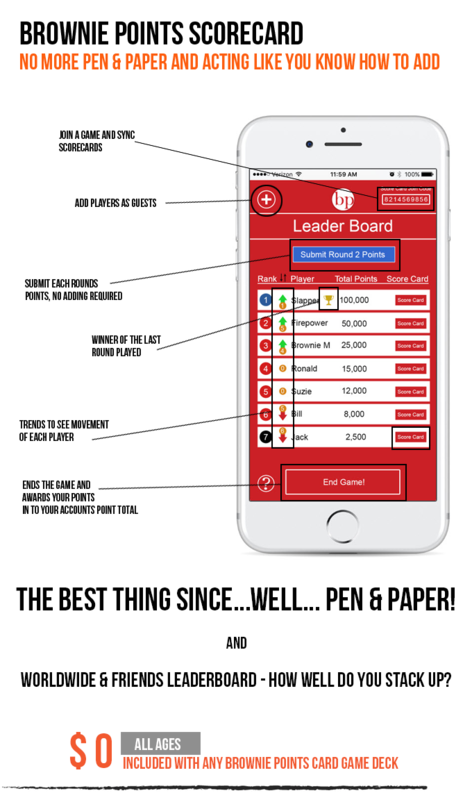 It seems kind of simple on the surface, but when you play it for a little while there's some depth in the hand management, you gotta save your cards for a big play later on. I give it two thumbs up, it's a good game. 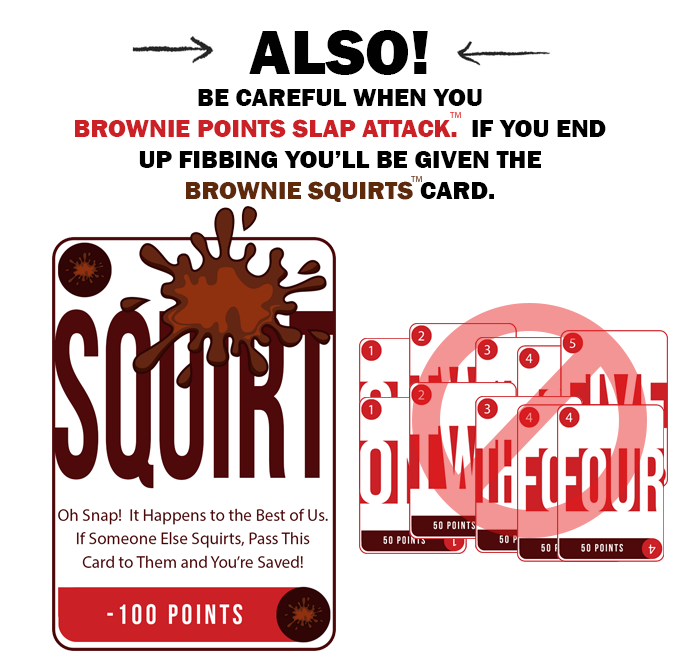 Brownie Points Card Game is a highly strategic, fast pace game full of surprises that you can never plan for. 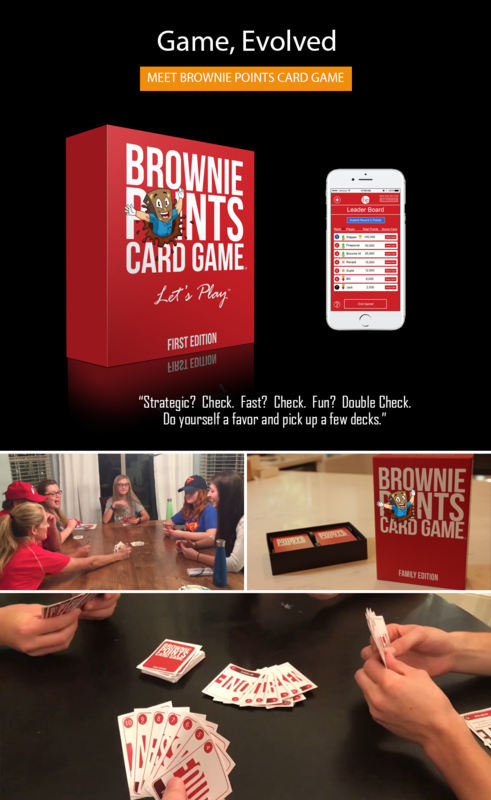 Players take turns drawing cards, Brownie Point Slap Attacking their opponents and earning as many points as possible each round. 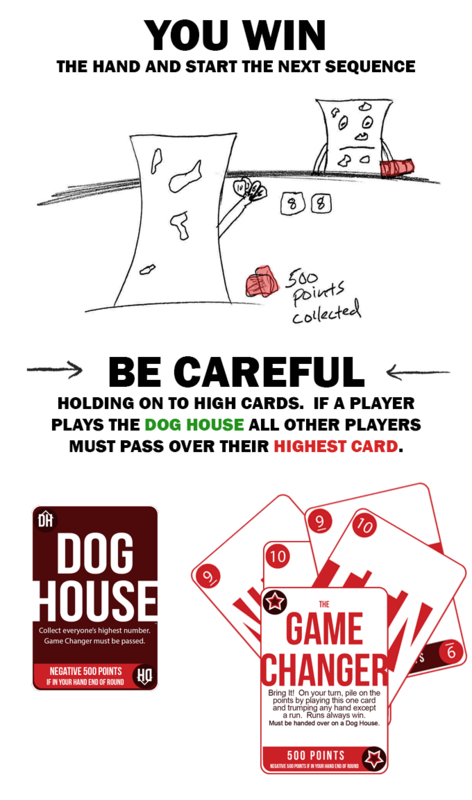 The deck is made up of cards that let you send all your opponents to the Dog House, a Game Changer that immediately trumps the pile, and a Brownie Squirts Card that can instantly turn all your cards to negative points and take you out of the round. 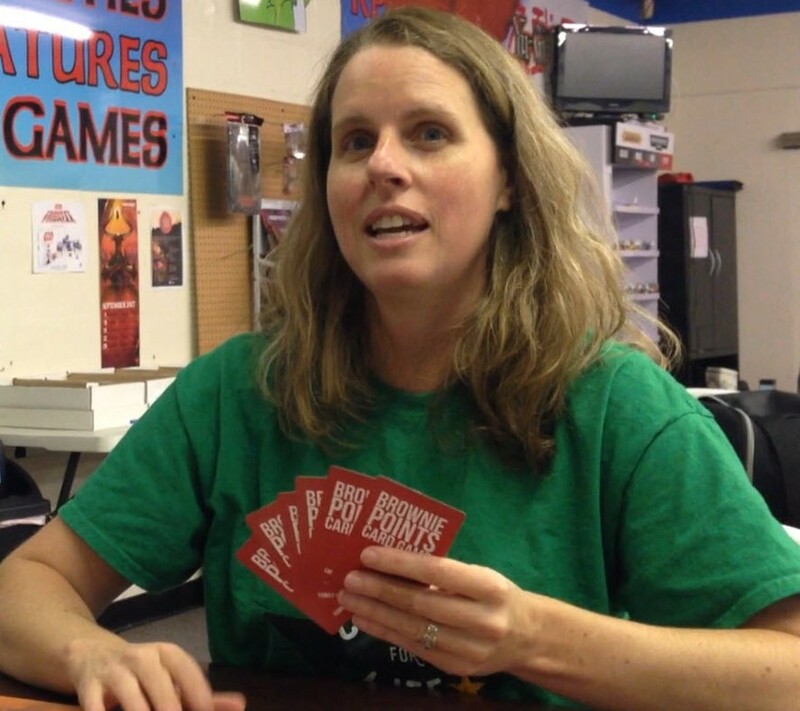 Card games are one of our oldest past times. The strategy, the emotion, the fight to win, it hits on something inside all of us. 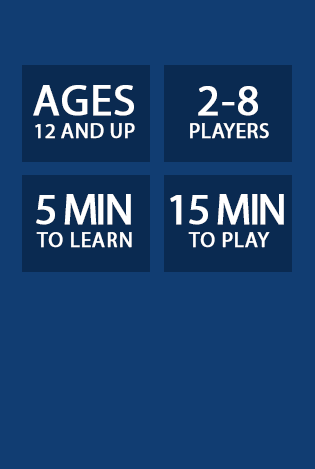 We love to be around it, play it, enjoy it, win it. 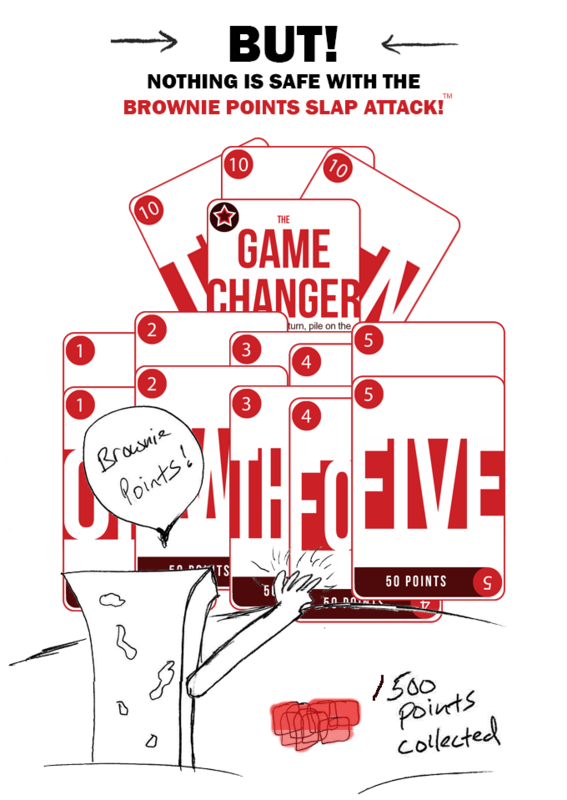 Yet, we are all after the same thing… the next best card game. At JRK Innovations we’ve been innovating for over 10 years. 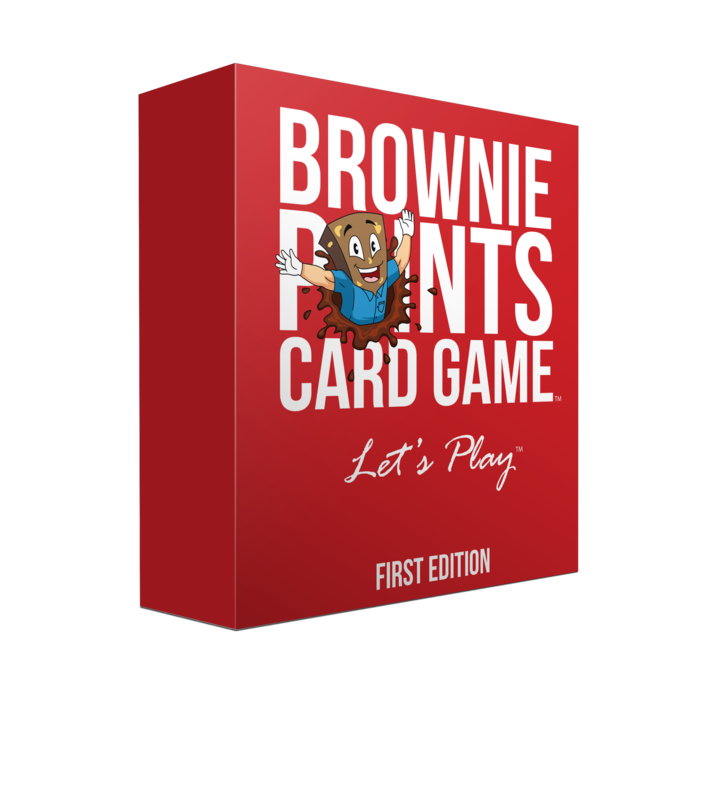 This time around, we’ve put our sights on the next best game with the Brownie Points Card Game, an electrifying game with unique elements combined into one challenging, fast, heart-pounding game. Newly Designed, Modern Deck of Cards for Adults, Teens, Families, Parties, and the Brilliant Kids Under 12. #1. 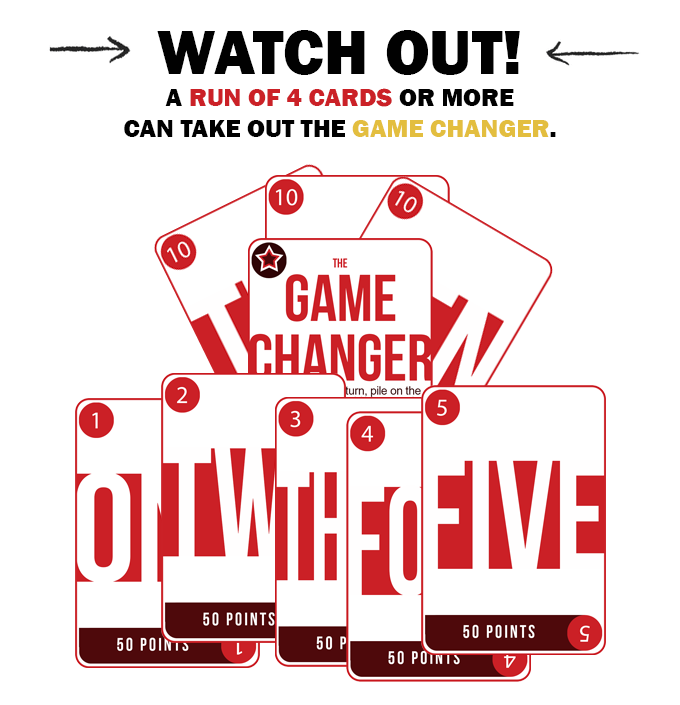 Five key elements that change the game on a dime when you never expect it. #2. Every player is engaged with the ability to steal each hand or hold of for an even bigger play. #3. No hand is safe in this game no matter how hard you try to out-think your opponent. #4. 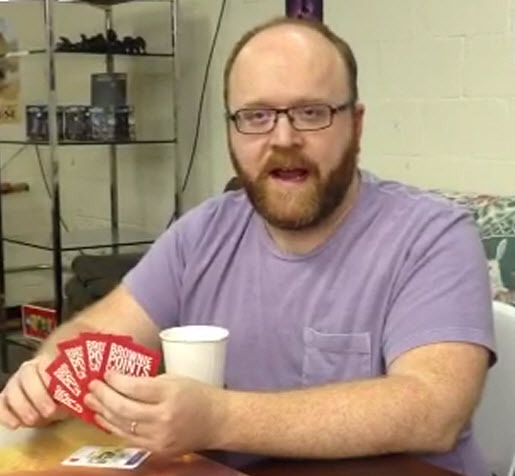 One card that makes every player a little nervous as it can take you out of the round. Brownie Points Slap Attack - You Never Know When it's Going to Happen. Slap Attacks Make You Scream! 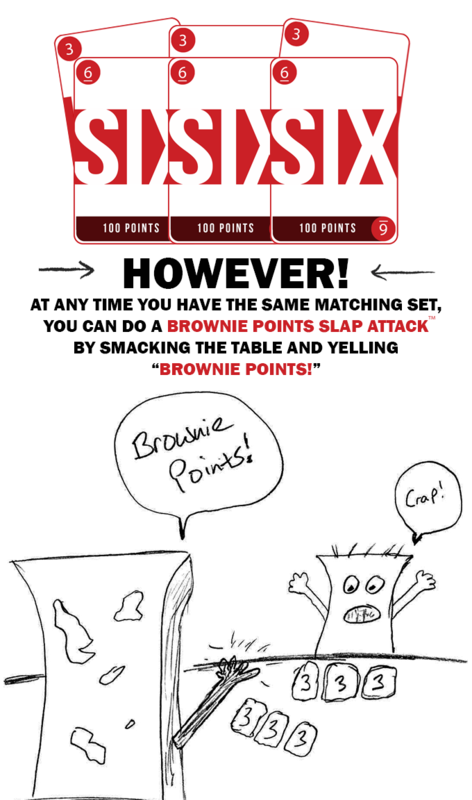 My favorite part of this game is definitely the slap attack, when the card matches with what you have in your hand you slap the table and say Brownie Points. It's my favorite because it's the most challenging.